Well, mainly we learned that Altior really is not going to get beat anytime soon! He’s now 17 from 17 over obstacles and he’s chasing down Big Buck’s record of 18 straight victories. Visually there was no better performance at the weekend than Paul Nicholls 7yo dismantling his field from the front in the 2m5f Bet365 Handicap Chase at Ascot. He barely missed a beat at his obstacles, jumping like the proverbial buck from fence to fence, and had the others in deep trouble long before the home-straight, where he then rubbed further salt into their wounds by extending the distance between himself and his floundering rivals to an even more yawning gap, ending up 21L ahead as he crossed the winning line, still very much in cruise control. …where under such conditions he has a form line of…. …and those do look to be where you’d want to be backing him. That, obviously, rules out Cheltenham and Aintree so it does keep his options slightly limited but the Grade 1 Ascot Chase (February) seems to be the plan for him and with a ratings pump of 15lbs for Saturday’s win (150 up to 165) connections have no real choice but to gun for some big prizes. He showed last year (as a novice) that he could cut it in Graded (non-novice) company and he’d certainly be interesting if rocking up in one of the top races with prime conditions to shoot for. …and it’s one who we know definitely stays marathon trips very well, being that the horse in question already has two Scottish National’s to his name. Yes, you’ve guessed it, it’s dual Scottish National winner VICENTE that I’m talking about. The 10yo ran in the inaugural Portman Cup Chase at Taunton on Saturday, finishing a fine third after travelling well for most of the contest, before fading out of things from around three out. He’s a horse that tends to not show his best until we are out of the winter months (he’s 0/8, 1p in the December – February period) so this effort was about as good as you would have expected. The added bonus off the back of the run came when the handicapper dropped him 1lb for the run to OR 146, which is his last and highest winning OR. Providing we don’t have a wet National (and providing, of course, he goes for the race) then he’s going to face off against those conditions at Aintree in April. Ignoring the fact that clearly nothing was beating Cyrname in the Bet365 Handicap Chase at Ascot on Saturday, I was yet again perplexed by the campaigning of Flying Angel. persevering with him over these longer than ideal distances. 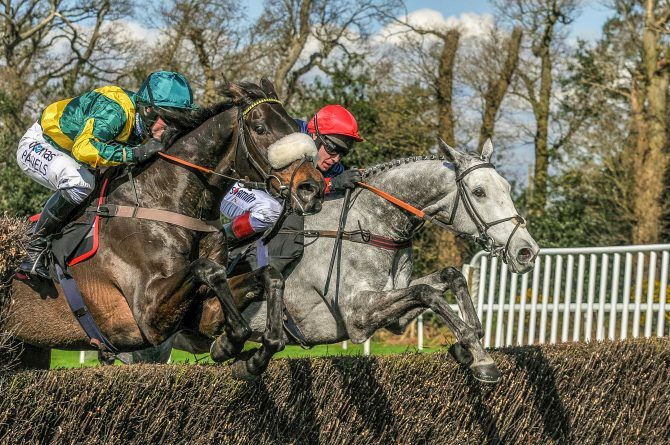 Admittedly he had those conditions on seasonal debut in the Old Roan Chase but that level of competition is probably just too hot for him and he’d be better suited to calmer waters. p.s. The NTF Unexposed Handicappers continue on their merry way to profits. Blue Flight’s win at Ascot on Saturday took the figures to…6/23 (26% S/R) | +£41.09 BFLSP (5% deduction applied) since the guide was released. You need to quit the name puns!! It’s not original, it’s not funny, and your just shaming us fans, and embarrassing yourself. Thanks Dandy, glad you enjoy the blogs. Bit disappointed to see you after time how perfectly Cyrname fit the trends, yet not even a mention before the race at the weekend Ben…Luckily I had a good bet on Twisters, so not all doom and gloom, but still…. Think you need to read the title of this thread again. I don’t have prime conditions for all horses in training, these things often come to light after a few performances under certain conditions. I didn’t mention him pre-race as I didn’t have tight prime conditions for him. I had rough/loose notes on him but this run confirmed to me where he should be racing. The idea of weekend notes (for members) and this free post (which is essentially a small snap-shot taken from weekend notes and extended upon for the individual components) is find future pointers from the racing just past, the future pointer in Cyrname’s case are his prime conditions becoming evident, which is ‘what we learned’ (which is why I put it in this post). I do not see Vicente as an Aintree horse; no form at all on the course; more as an Ayr project. One horse that has caught my attention is TRAFFIC FLUIDE; winner Sodexo Gold Cup Ascot 3 miler, 3rd Nov ’18; for the Grand National with three previous runs at Aintree. Tip from the jockey is that the horse is now being trained for the GN and in the Weekender 16th January ’19, the trainer Gary Moore speaks highly ‘very satisfying to get him back to his best/one run before Aintree’. Don’t think National course form all that important nowadays for the ‘modified’ fences. 7 of the last 10 winners had no previous form over the National course before winning their National. I get the feeling Vicente and Ayr may be done with, they wanted to try for the hat-trick last year so put all their eggs (almost all!) in that basket. He was entered for the National last year but withdrawn due to the ground and it would make sense for them to go for it this year. They been and done the Ayr thing and it’s a good back-up if the national plans go south again this year. Traffic Fluide is certainly an interesting one for the national, got plenty of back-class and his win last time out suggested he’s somewhere back to near his best. Not yet run on the National course but no reason he wouldn’t take to the fences. Thanks Robert, glad you enjoy the Weekend Notes, always good to hear. Did you hear back from N Henderson re your email to him about Josses Hill removing the headgear. Nope, not a sausage! Also sent an email to the owner Alan Spence, again, no reply.